Tonight we had a course dinner at one of my favorite restaurants. When ever I visit Australia I like to have a meal at Kyushu in Neutral Bay. I am a bit tired tonight, so this will be mainly a picture post of the delicious food that I had tonight. 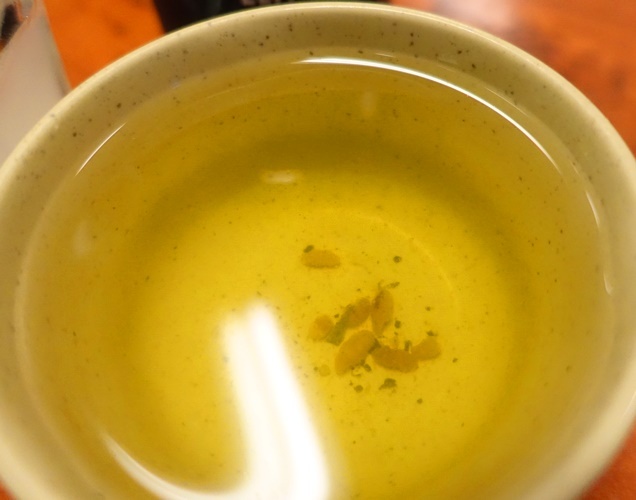 I started off the meal with some nice Japanese green tea. It had a nice earthy taste and complemented the meal. The cup was refilled several times over the course of the dinner. The food started to appear starting with these nice little pork rolls. 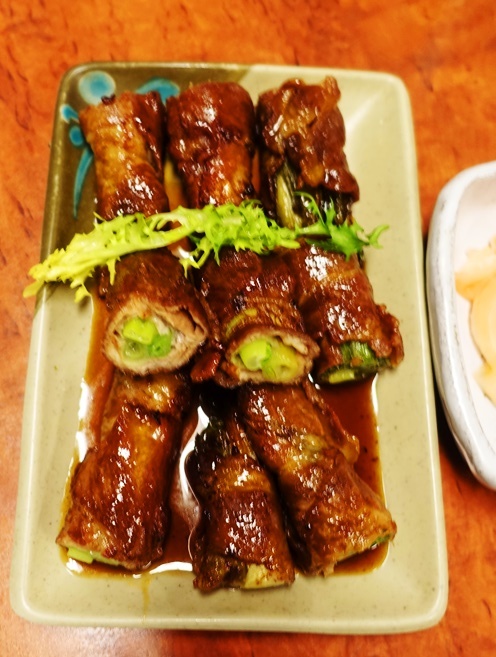 They are basically pork strips wrapped around vegetables. We had some rice with the meal. 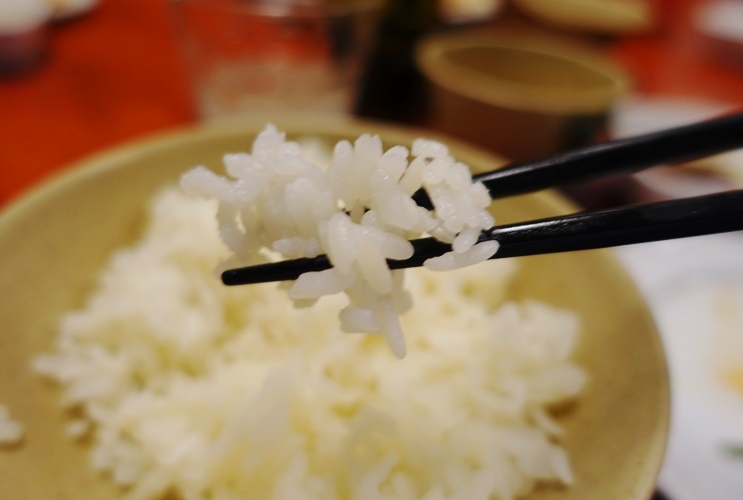 It was really good rice that was just a bit sticky which made it easier to eat. I ordered some fried tofu. I could not get my students to try it, but that just meant that I had more of this delicious dish for myself. The tofu was topped with some bonito flakes. The sashimi bowl that we shared was really good. I let the others eat the oysters, but I really enjoyed the sliced fish. The tempura prawns were really nice. 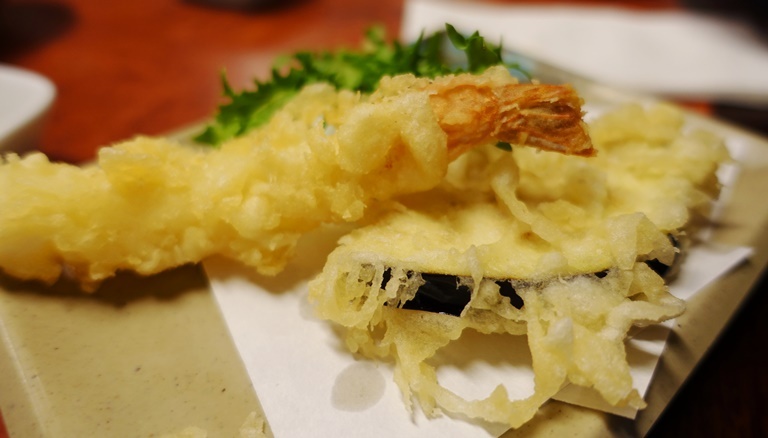 I really like the tempura style batter. It is definitely much lighter than other types. 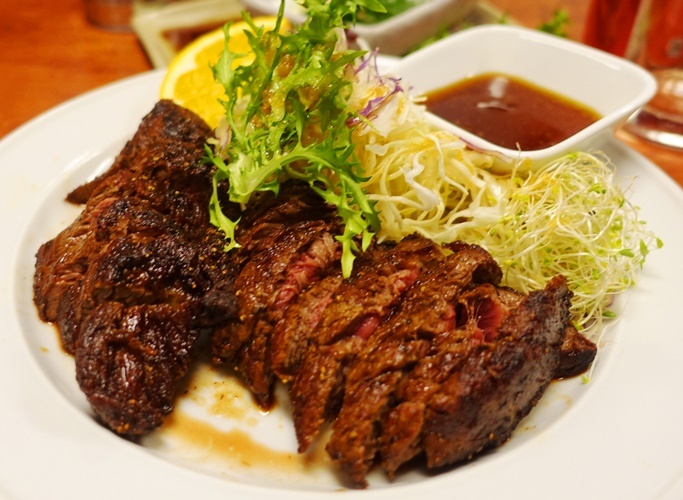 Here is a dish called Wafuu Steak. I though that Wafuu was a misspelling of Wagyu, but found out that Wafuu is a Japanese word that means Japanese Style. So, this is Japanese style beef. The beef is from the eye of the fillet so it was very tender. The beef was also marinated so it had a wonderful complex taste. 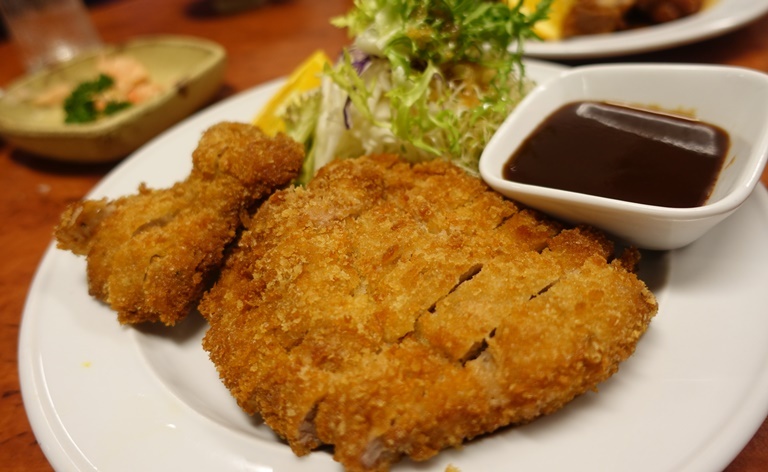 I always like to have some tonkatsu when we visit Kyushu. 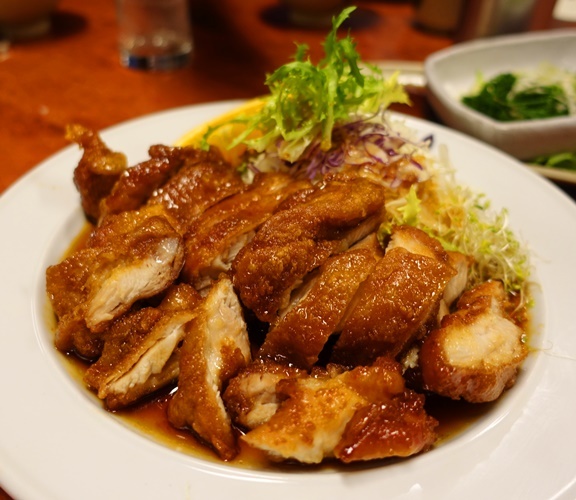 This is one of my favorite dishes to have when I visit Japan, so a good Japanese meal for me usually includes this. Of course, I also had to have a bit of dessert. 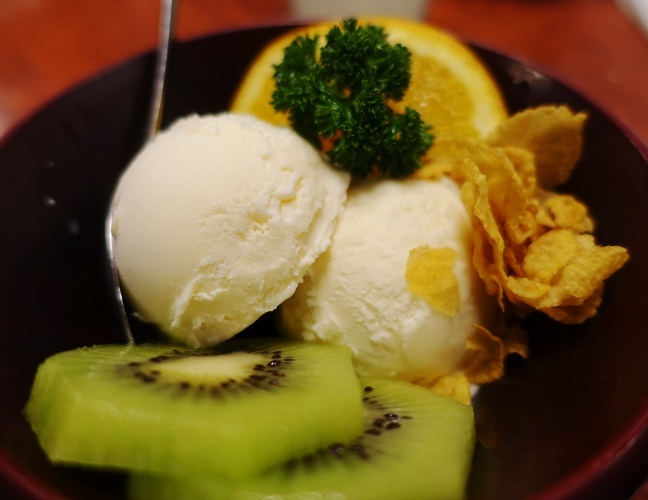 The dessert options at Kyushu are simple. Do you want green tea ice cream or vanilla ice cream. For me this was not a big decision as my favorite dessert is simply vanilla ice cream. Kyushu does something interesting with their ice cream that I really like. They add some corn flakes which give it some nice crunch. It was a wonderful meal with my students and we had a great time. 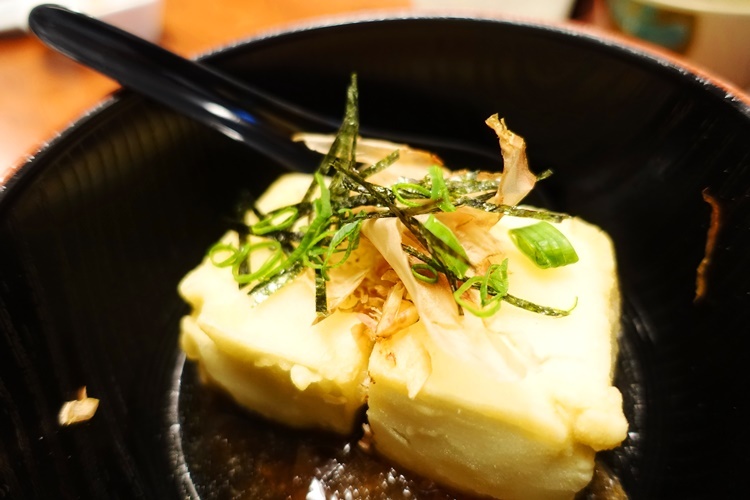 Especially sharing memories of previous meals at Kyushu. I definitely needed a walk tonight so took a hike up the hill toward the office to get in some exercise. 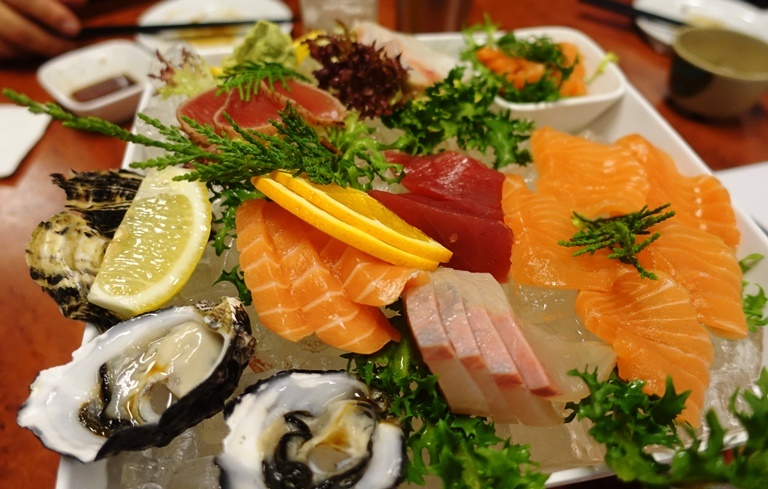 This entry was posted in Australia, Culture, Food, Tea, Travel and tagged Course Dinner, Ice Cream, Japanese Restaurant, Kyushu, Sashimi, tonkatsu. Bookmark the permalink.